What a difference a wall makes. Some say lofts are apartments that builders never bothered to finish. 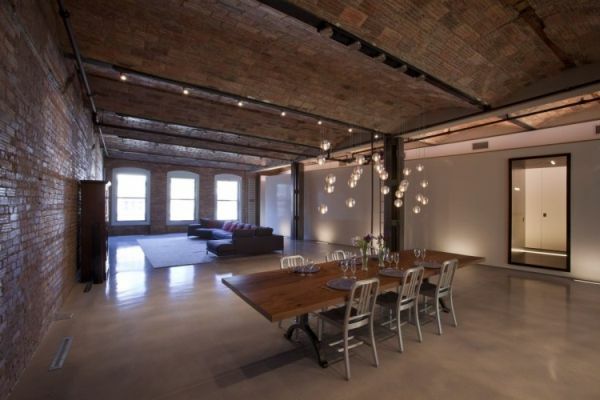 But the truth is lofts have a distinct appeal to buyers and renters. They were originally cheap places where artists lived and worked. Abandoned industrial buildings in New York City provided basic shelter for artists after World War II. Many of these early lofts lacked heating or hot water back then. As more artists moved in, word got out, and it didn’t take long before wealthy New Yorkers became interested in loft living as well. A loft is an apartment that only has one huge room with no walls for separate living spaces such as a bedroom, living room, or kitchen. Furniture choices should therefore make the loft seem inviting and spacious. In a loft, you need furniture that's not only stylish and chic but also versatile and useful for dividing the space. The first thing you need to do is properly divide the loft space into a living area, a dining area, a sleeping area, and any other areas you wish. Once you know where these spaces are, use furniture to mark the borders between areas. Pieces like tables or bookcases serve as rigid dividers, while room dividers and fabric screens hung from the ceiling can also help you achieve the feeling of separate rooms within your loft. Designing the interior of a loft is harder and requires that you consider more factors than interior decor for a traditional apartment. Do you find yourself hesitating about whether you should opt for a traditional or a modern style with your loft design? 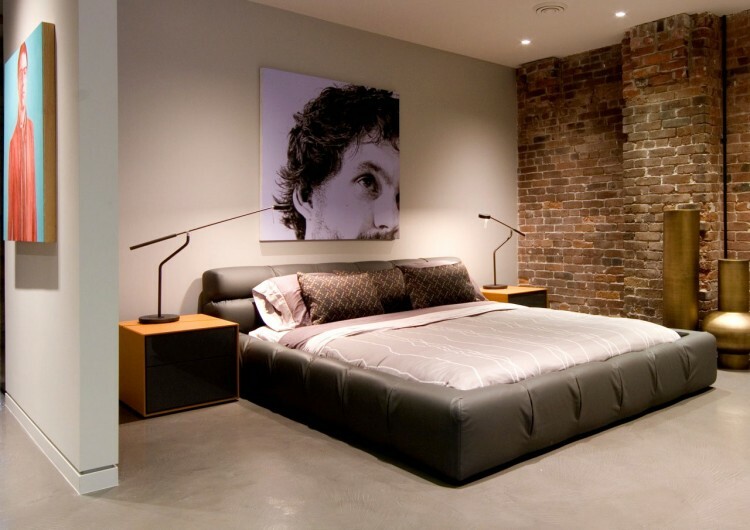 Suppose your loft has concrete or brick walls lined with exposed pipes. In this case, furnishing materials should be a mix of steel, glass, wood, and chrome. You can achieve a contemporary feel in a a loft that has a vintage look with columns and mouldings and large windows. Here, opting for some antiques — such as glass chandeliers, upholstered furniture, and a carved chest of drawers — would blend well with the loft's heritage character. Creating good loft storage space is quite a task. Storage os an important consideration for any kind of apartment, and since your loft is open and lacks any closed rooms and doesn't have many corners, you need to carefully plan your storage so that your home doesn't look disorganized or clumsy. With every piece of furniture you choose for your loft, keep in mind space requirements and utility. Opt for pieces that you can use for storage as well. For instance, trunks can make perfect coffee tables while keeping your winter shoe collection hidden during summer months, and ottomans provide great filing cabinets. Similarly, traditional cabinets and armoires are very helpful for storing household items. Your home is your kingdom, and if you want to have vibrant green walls, you shouldn't hold back. But although you're free to come up with innovative ideas to decorate your walls, usually a soft, neutral colour scheme suits lofts best. Try not to mix and match different colours, as this can look inconsistent and messy in a one-room-apartment. 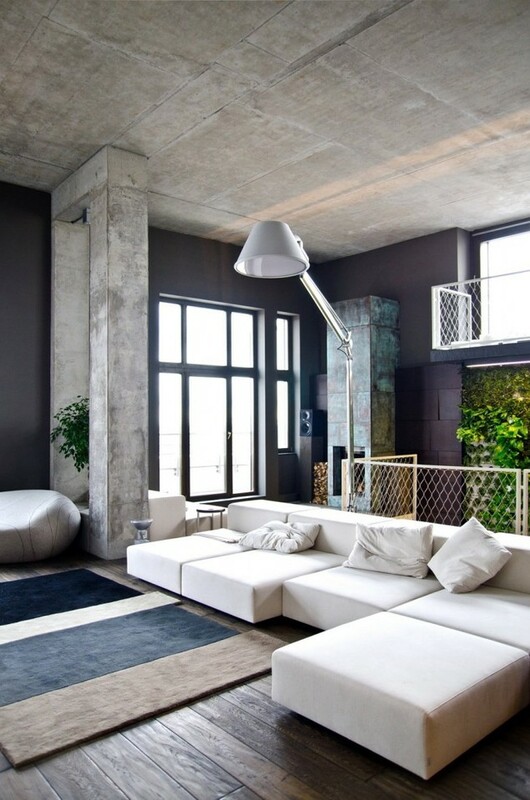 Sticking to just one colour for the walls gives the loft a sense of coordination, and this is pleasing to the eyes. 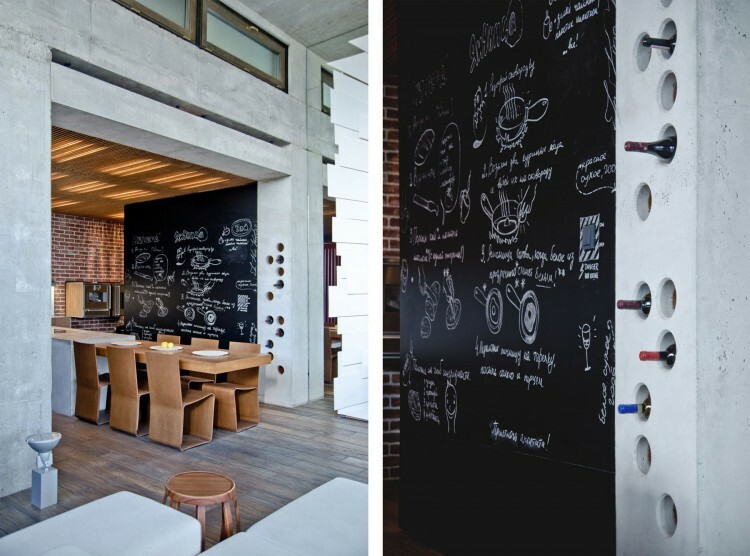 Keeping in mind that lofts were very artistic spaces in the past, and you should maintain a certain artsy flare. Forget about small, framed photos of your family, your graduation, and your pets. You live in a big, bold apartment, and what you hang on its walls should be in line with that vibe. For a traditional feel, hang some nice wooden frames with old posters or postcards. 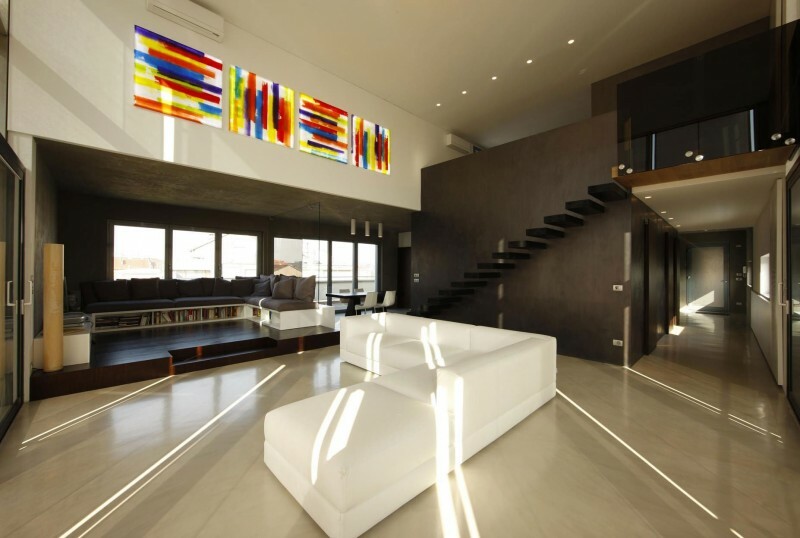 If you want your loft to look like a modern art gallery, display a few contemporary paintings. Student shows are a perfect place to score some modern and wallet-friendly pieces. Another great idea is to hang some attractive mirrors on the walls, which will also make your loft seem larger. After dealing with loft storage, you might feel like you can accomplish anything. However, selecting the right lighting for your loft presents its own share of challenges. Ceilings are rather high in the vast majority of loft apartments, which gives you the option of trying something different. Chandeliers and designer pendant lamps will lend extraordinary visual appeal to your loft. To complement your ceiling lighting, you should include some lower lighting like lamps and wall sconces in your home too. Lighting has to be balanced. Large loft windows make one half of your apartment spotlight-bright, while the other half is usually cast in a dim light. Use chandeliers to balance any major imbalances and smaller lamps to achieve lighting perfection and brighten up corners. Dining and living areas take up much of your loft space, so when you're deciding on furniture, start by choosing the right dining table. To separate the dining and living areas, first you need to invest in a dining table with matching chairs. You can place the table against one wall and let it project into the space, or your can incorporate it as part of the kitchen area by placing the table behind your kitchen counter. If you love hosting parties, you should opt for a six-seat or eight-seat dining table. A lantern or chandelier installed on the ceiling will provide enough light for enjoying your dinner. While we don't recommend antique furniture for lofts generally, an antique chandelier can strike a perfect chord with modern pieces. Every living area needs a couch along with a centre table. An oversized couch placed in the middle of the loft, adjacent to the dining area, works very well. Since a loft usually offers generous floor space, contemporary furniture looks great in these spaces. Forget about small coffee tables, side tables, and tiny cabinets — they will only create clutter. The first and only rule to remember when shopping for loft furniture is that you should favour modular pieces that serve more than one purpose. With versatile furniture, if you get tired of your layout, you can swap your pieces around and your space will still make sense. Minimalistic, modern furniture designs with clean, straight lines in light-coloured wood and solid-coloured upholstery are your best bet. If you're aiming for a monochromatic colour scheme, then an off-white, cream, or grey sofa with black and red cushions will fit your loft perfectly. Centre tables should be big and low, ideally made from light wood, and they can include a glass topper if you like. A tall, metallic lampshade with clean lines and a modern design will finish the look of this area. A full-length wooden bookcase is another essential loft furniture piece. You can use this kind of bookshelf to separate the rest of the loft from your sleeping area. Sleeping is a delicate affair, and to get the best out of your eight hours, you should think twice about where you'll place the sleeping area in your loft. Generally speaking, you should locate entertainment areas (like the kitchen, dining area, and living area) closer to windows and front doors, while sleeping areas belong farther back in the loft. Your bedroom space requires a certain level of privacy. You can use full-length bookshelves or even room dividers to strongly separate your sleeping area from higher-traffic areas in your loft. You should keep the lighting in your sleeping area soft and low with the help of mood lighting and wall sconces. A pendant lamp, placed just above the bed, is also a great solution. You can choose a queen-size loft bed, raised high above the floor. These beds create a cozier atmosphere, and they're available in many different finishes. Again, a light wood finish would look great. When it comes to home and interior decor trends, choose the style that suits you and your needs best. After all, you'll spend the majority of your time here, so the best solutions are those that work for you. 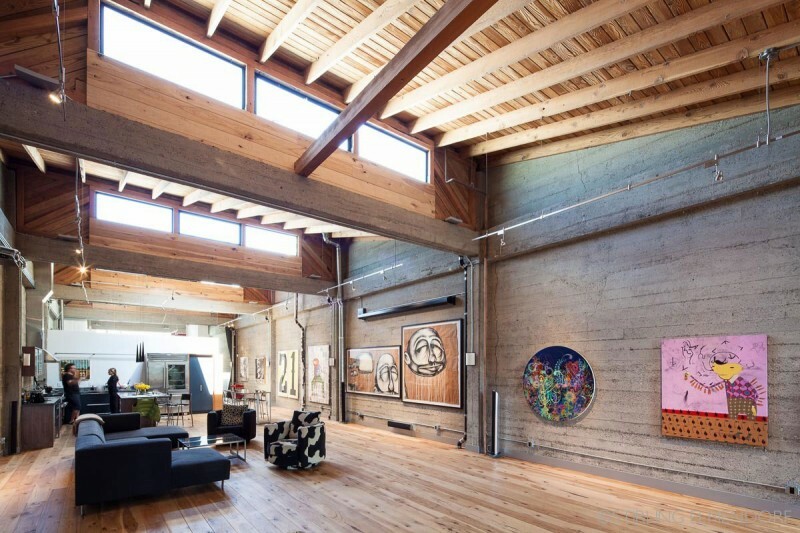 The overall look of your loft should reflect your personality and make you feel comfortable and at home.